Passionate advocate for stereoscopic imaging for more than two decades, not only as a professional working in the field but also as a personal challenge. 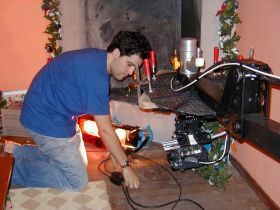 Creative Stereographer, experienced Stereoscopic Supervisor & S3D Consultant has been working with studios, producers, and directors on stereoscopic films and projects, connecting narrative to stereography, improving workflow and optimizing S3D implementation costs, from concept through post and delivery, for more than fifty projects. 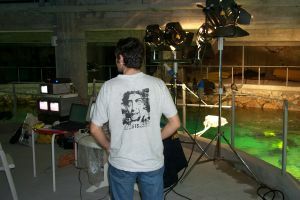 Also supervising stereography on CGI productions & VFX compositions, developed his own tools for live action shooting including 3D rigs, 3D live alignment software, 3D underwater housing, but also tools to improve post stereo corrections and techniques. He has participated in the most important industry events and projects like London Olympics 2012 or by giving speeches, conferences or even with his publications (IBC, Broadcast, SD&A, DGA Digital Day, SMPTE), awarded as the one with the best use of 3D Stereo in the Stereoscopic Displays andApplications 2008, (award shared with Rob Engle from Sony Imageworks). He also played as a judge for the 3D Theatre with Samuel Zhou from Imax Corporation and supervised the Star Wars short film 3D projection in Spain for LucasFilm in 2007. 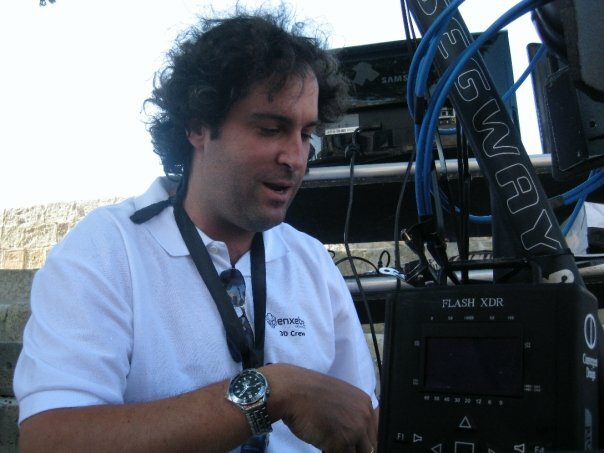 Director & Founding partner of Enxebre Entertainment, Spanish company specialized in stereoscopic production & services since 1995. He is worldwide available, for live action and CG projects, but also as lecturer and S3D trainer. Main responsibilities as senior consultant and stereoscopic supervisor involved managing and overseeing all stages of 3-D movie production, live-action, CG Animation or combinations of both. Stereoscopic Layout, scene analysis: 3-D camera numbers, 3-D shot composition, stereoscopic relationship between scenes, Improving perception by using additional psychological cues, 2D depth-cues for a stronger but pleasant experience. Adjustments for stereo : lighting for 3-D, floating window, screen and theatre space, retinal rivalry, character and object roundness, and multi-roundness scenes. Stereoscopic editing & composition, post-effects and final encoding for distribution ( DCI and non DCI ). Budgeting stereo projects, Live and CGI . Preproduction design and project workflow. .
3D Live Surgery at COEM with Pentero and Trenion, "3D Micro DAY " .- Stereoscopic Engineering & Supervision . Carl Zeiss and COEM . Saint James Way in 3D. 3D Inmersive Experience .- Full Stereoscopic production . Xacobeo. Xunta de Galicia. The Mental Twin. An Stereocopic Oil Paint experience, Victor Lopez-Rua .- Stereoscopic Consulting & Supervision . Spain . 3D Live Surgery Hospital Montecelo, "II Urology Congress " .- Stereoscopic Engineering & Supervision . Olympus. Biomedic Foundation . 3D Photography Expo. Compostela, the third dimension. " .- Stereoscopic Photography and 3D printing. Consorcio de Santiago . 4D/5D Hanuman. Live+CGI. HFR 48fps. 4K-3D Theme park Film .- Stereoscopic Shooting, Supervision & Engineering. The Guardian. India . 4K-3D Film Teaser. " As Troitas cantan ao mencer ". Live-Action + 4K-3D Drone Shooting. .- Abano Produccions. 4D/5D Sultangazi. 6K-3D. Live Ride Film. 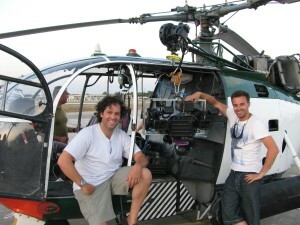 Aerial & Live ground shooting .- Stereoscopic Shooting & Supervision, Likefilm. Turkey . 3D Live Surgery Hospital San Rafael, " UROLOGIA DEL SIGLO XXI " .- Stereoscopic Engineering & Supervision . Intuitive Surgical , Hitachi , HSR . 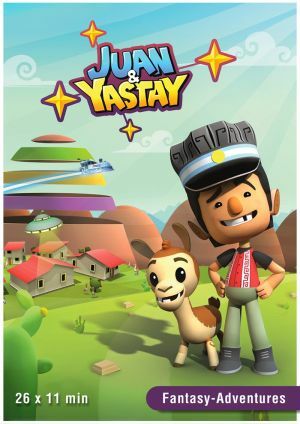 Juan & Yastay. 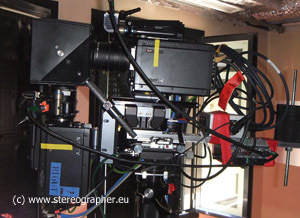 3DTV Series and Film .- Stereographer . BUJOS Producciones. Argentina. Stereographer & Stereoscopic Supervision. Water Saving themed 3D Films. .- Ministry of Water and Electricity / Arabia Saudi. Stereographer & Stereoscopic Supervision. 3D Realtime Surgery Transmission ( CHOP ). .- Hospital Provincial Pontevedra , Foundation Biomedica. Olympus Medical / Spain. Stereoscopic Engineering & Supervision. 3D Olympus Laparoscopy .- Dr. Ruibal. Hospital Lucus Augusti, Lugo / Spain. Stereoscopic Engineering & Consultant. Da Vinci Xi Robot Stereo Surgery. .- Dr. Ruibal , Hospital San Rafael, Live 3D Stereo Engineering. / Spain. Stereoscopic Consultant. Virtual Twins. Inmersive Oil Paint Experience.- Victor Lopez-Rua / Spain. Stereographer & Stereoscopic Consultancy. 4D Theme Park RIDE FILM.- 4D Consultant Panini Group / Pune, India. Stereographer & Stereoscopic Consultancy. DRAGOES OURO 3D.- 3DTV Live Event. Dragoes Ouro Gala 2013 / Lightbox , Oporto, Portugal . 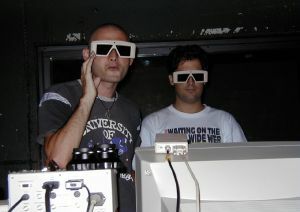 Stereographer & Stereoscopic Supervisor. Digiturk 3D.- 3D Cinema Commercial. DNAFILM / Lokomotif . Istanbul. Turkey . Stereographer & Stereoscopic Supervisor. Falling Again.- 3D Short Film. Alex Pachon. 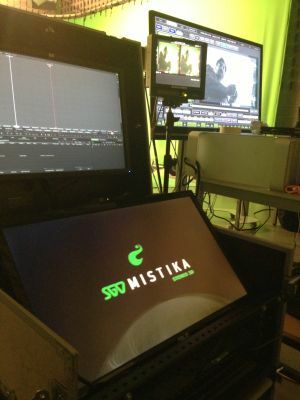 SGO Mistika Live. Stereographer & Stereoscopic Supervisor. 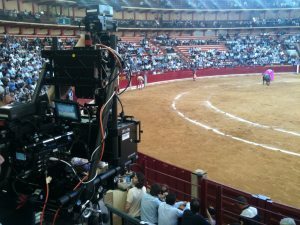 Madrid Horse Week ( Ifema ) .- 3D Documentary . Shooted with Panasonic AG-3DP1 & 3D-A3DA1. Zapatlela 2.- 3D Feature Film. Directed by Mahesh Kothare. Prime Focus World. Stereographer & Stereoscopic Supervisor. 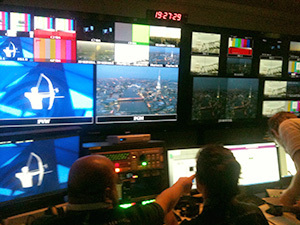 London Olympics 2012.- 3DTV OBS Olympics. Stereo QC ( quality control ). 3D Engineer. "In a blink of an Eye".- 3D Commercial. Stereographer on Set. ( Luis Ismael. Lightbox, Oporto ). "3D Stereoscopic Oil Painting".- Stereoscopic Supervision and consultant for the Spanish artist “Victor Lopez Rua”.- First Stereoscopic canvas since Salvador Dalí. "Several S3D Contents".- TV documentaries (HIGH-TV3D). “Power Off”.- Feature Documentary. (Antartida Prodcciones). Stereoscopic Supervisor. 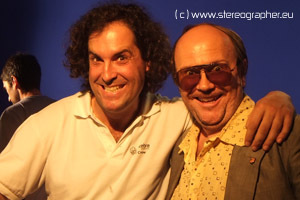 “Torrente 4 Lethal Crisis”.- Feature Film. (AMIGUETES/SANTIAGO SEGURA). Stereoscopic Consultant. “Istambul 3D.Turkey”.- Commercial. (LOKOMOTIF & NUMBER NINE FILMS). Stereographer. “Italcard”.- Commercial for Digital 3D Cinema. (MNOGOFILM.- ITALY). “Chamilla” .- Commercial for Digital 3D Cinema.- (DISNEY / DOBLEZERO.- SPAIN). "Malta 5D".- Digital 3D-Full HD (TENUES & MARTINEZ.- MALTA Government). "Jack the Ripper in 3-D".- (Stereoscopic Post-production). Real Live +CGI (TERROR FACTORY, LTD.- UNIT KINDOM). “Seivane Bagpipes Workshop in 3D”.- . “Susana Seivane in Concert”.- . "U-Boat Adventure 4D ( 3D+EFX )".- ".- Underwater live Shooting , 3D-HD. “Discovering Ancares in 3-D”.- Combination Live Action & . “Virtual Hostess in 3-D”.- Stereoscopic holographic production). 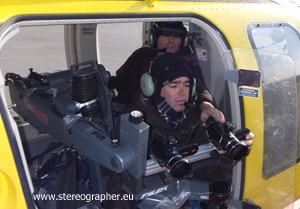 “Destination Ancares in 3-D”.- First Spanish aerial 3D Stereo movie . “Watch Out! in 3-D”.- Combination Live Action & CGI . “Ice Rescue”.- 2K Stereoscopic Ride Film .CGI (2005). “Space News in 3-D”.- CGI Stereo 3D . Awarded at Anifest 2005. “Jako & The Pet Thief in 3-D”.- Production of first Spanish 2K Res. 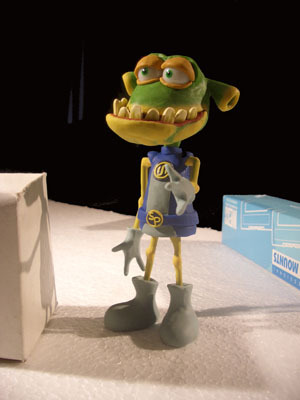 3D Stereo CGI Short film ), it was licensed to Warner Bros. Park Madrid. “Love, Loves in 3-D”.- Combination Live Action & CGI . “X-Mas Tale in 3-D”.- Combination Live action & CGI . 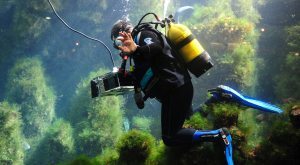 “Talking Fish in 3-D”.- Underwater live-action & CGI, first European short movie . 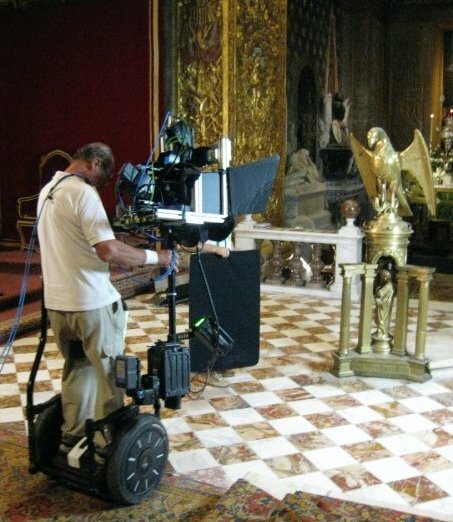 “Tales of St.James Cathedral in 3-D”.- First Spanish stereoscopic production that combines Live-Action and CGI (1999) . “Milky Way in 3-D” .- CGI stereo 3D (1999). “Medieval Market in 3-D” .- Live Action stereo 3D (1997). “Green Roads in 3-D” .- Live Action stereo 3D (1996) . 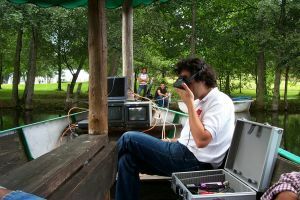 Badajoz, SPAIN,Theorical & Practical Stereoscopic Course, March 2012. 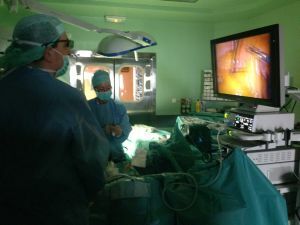 Madrid, SPAIN,Teorical & Practical Stereoscopic Course, March 2012. 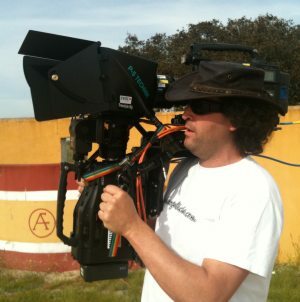 Alcobendas, SPAIN,Stereoscopic MasterClass in Vocational College CIFP José Luis Garci, February 2012. Valencia, SPAIN,FORUMTECH 2011, “Telling Stories in 3D”, Nov, 25 2011. Joensuu, FINLAND, 2nd International 3D Seminar, “Stereoscopic Cinema, Connecting your Storyline with Visual Perception”. 10th Nov 2011. Mumbai, INDIA, Broadcast India, "Stereoscopic Cinema, Connecting your Storyline with Visual Perception". 20th Oct 2011. Paris, FRANCE, DIMENSION 3, Stereoscopic Perception. Conecting Narrative to Perception. May 2011. Vitoria, SPAIN, 8th Edition Congress on Virtual Reality Applications (CARVI 2010). “Stereoscopic Tools for Entertainment Production”. SINGAPORE, The Egg Story Digital Arts School Seminar Series 2, 2010.“Stereoscopic Perception & Creativity”. 3-5 March 2010. 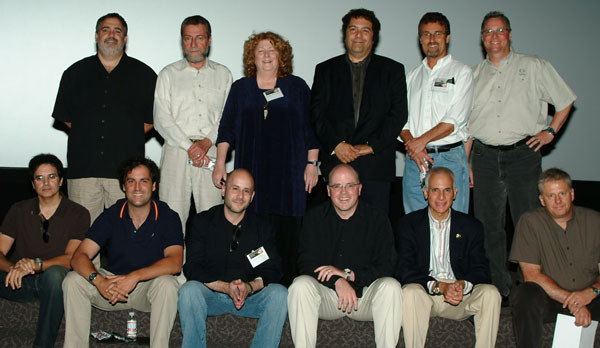 Sydney, AUSTRALIA, SMPTE 2009, Society of Motion Pictures and Television Engineers.“Stereoscopic Cinematography“.- Modern Cinema Conferences. Madrid, SPAIN, The Spanish Academy of Motion Picture Arts & Sciences .- Digital Cinema & Stereoscopy Workshop 2009, “Stereoscopy Cinematograpy. Perception & Creativity”. April, 22th 2009. Santiago de Compostela, SPAIN, 2th Expert Forum “New Media & Audiovisual Content“ NovoMed 09. La Coruna, SPAIN, University of La Coruna “Masters degree in Management and Audiovisual Production“ “Stereoscopic Cinema Workshop“ by Enrique Criado. San Jose, CA, USA, Stereoscopic Displays & Applications 2008, “Original and creative stereoscopic film making”. Awarded for the best 3D presentation. 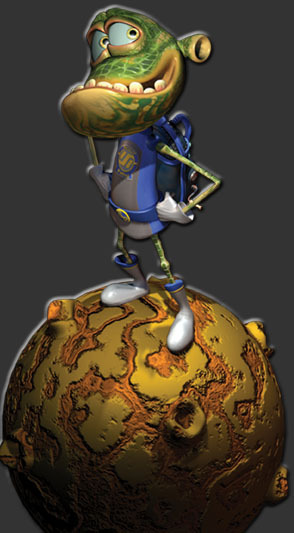 (Award shared with Rob Engle, Sony Imageworks). Vitoria, SPAIN , 6th Edition Congress in Virtual Reality Applications, “Sculpting the Stereoscopic perception in 3-D films ”. 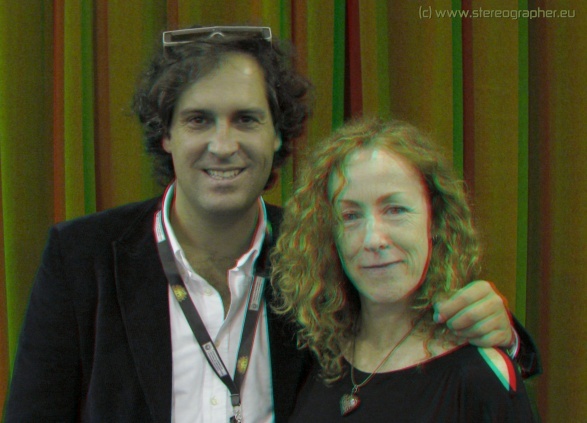 San Sebastian, SPAIN, 56º San Sebastian Film Festival, “Stereoscopic Photography in the 7th Art. Creativity & Fundamentals”. La Coruna, SPAIN, Meeting of Science Museums in The Domus , “About 3D Cinema”. Santiago de Compostela, SPAIN, Curtocircuito Film Festival, “Masterclass about Stereoscopic 3D Cinema”. Vitoria, SPAIN, Virtual Tecnology & 3D Cinema Day, “Languaje and Tools of Stereoscopic 3D Cinema”. 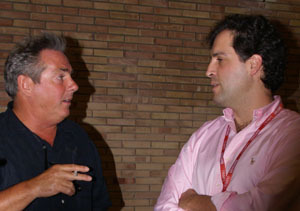 Madrid, Broadcast 2007, Digital Cinema. Distribution and Exhibition. Amsterdam, IBC 2007, The Bigger Picture, “Understanding the ins and outs of 3-D Stereoscopic cinema”. Zaragoza, SPAIN, TEA2007, EUROPEAN HD Conferences, “Stereoscopic productions: Understanding and Improving the Three-dimensional Perception”. 3D Consultant for stereoscopic projection of the Lucasfilm 8 minute 3D Short film “Star Wars”. San Jose, CA, USA. Stereoscopic Displays & Applications, “Stereoscopic Image Production”. Zaragoza, SPAIN, TEA2006, EUROPEAN HD Conferences, “CGI and Live Stereoscopic Production”. Vitoria, SPAIN , 4th Edition Congress in Virtual Reality Applications, “Stereoscopic Productions”. La Coruña, SPAIN, Mundos Digitales, “Stereoscopic Integration of Live & CGI Imagery”. Munich, GERMANY, S+3D Today , “Digital Live Stereo Filmaking”. 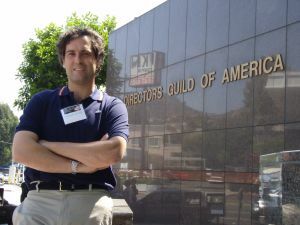 As Technical adviser for companies like Lucasfilm, LTD., in the stereoscopic projection of the short 3-D piece of Star Wars in Spain (2007). Also, as adviser for the Spanish Government and Universities, providing them with assessment on technical specifications, installation and maintenance of 3D systems, as well as motion-trackers, head mounted displays, immersive screens, etc. from 1996 until present. Alliance with The Foundry & Projection Design, developing stereoscopic workflows with Nuke & Ocula. Assessment and Engineering of 3-D Stereoscopic devices and systems. 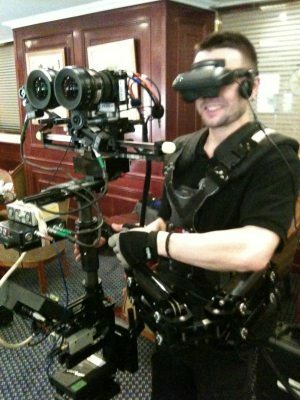 Design and operation of 3-D rigs and other live-action shooting devices. Design, installation, operation of 3-D projection equipment, digital & film. Designed and constructed an underwater stereo housing for 3-D U/W shooting. Designed and constructed a 3D Stereo for Film and HD cameras. Designed a methodology for fast 3D Image testing, encoding and viewing, for live-action & CGI production. Designed and constructed a compact 3D monitor based on two LCD monitors. Designed a software tool for a stereoscopic realtime adjusting of the floating window. Designed a CG 3-D Camera for stereoscopic shot composition. Strong Management, organizational and leadership experience. Creative Direction. Project Leader. Project budgeting. Strong understanding and use of stereoscopic science. Able to free and cross-viewing (no glasses needed for inmediate 3D evaluation). Deep technical and production experience, networking, computers, DIT . 3Ality 3D Rigs qualified operator and owner. QtakeHDx2 3D Operator and owner . Associate Degree in Computer Sciences. Computer Science Bachelor, UDC. La La Coruña. Spain. 1st Award for Best Use of 3D Stereoscopic 2008. SD&A. Anifest Award 3D Short." Space News 3D ". 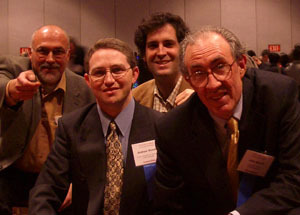 1st Award for Best Innovative company 2000. AMJE. Stereoscopic Displays & Applications. SPIE 6803-28 "Original and Creative Stereoscopic Film Making". 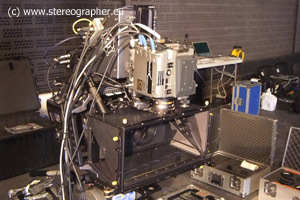 SMPTE Motion Imaging Journal “Understanding the Ins and Outs of 3-D Stereoscopic Cinema”. 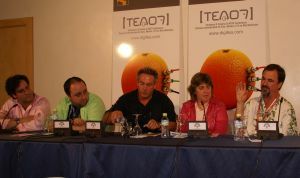 IBC 2007. Paper “Understanding the Ins and Outs of 3-D Stereoscopic Cinema”. Cineinforme nº 812 Dec 2007 “ La producción 3D estereoscópica digital”. Stereoscopic Displays & Applications. SPIE 6055A-4 “Stereoscopic image production: Live, CGI, and integration”. SI-2K SS RIG on SteadyCam. Setting up Tyler / giro Stabilizer for hyperstereo. Bocairent Project. QtakeHD 3D + Segway in Malta. © Enrique Criado 2018. Last Updated April 2018.